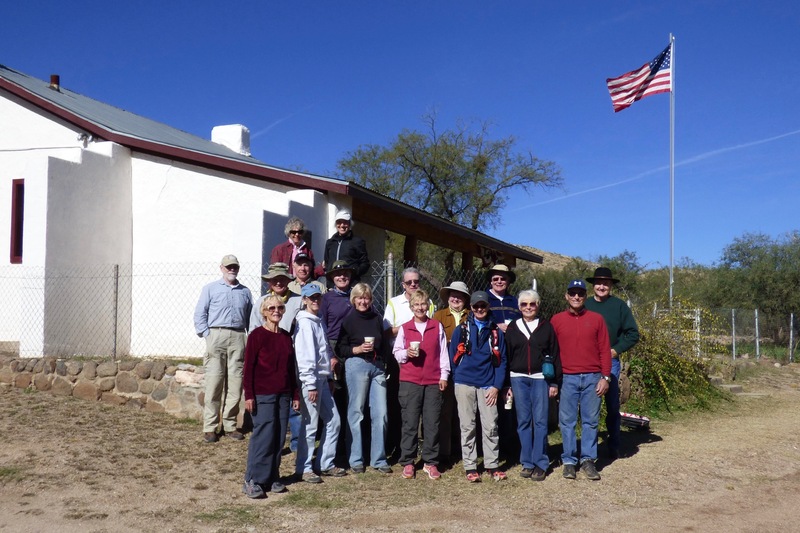 SBHC volunteers work on the Arizona Trail and tour the American Flag Ranch House, 11-18-15. Back row: Sandra Sowell, Jackie Hall. Middle Row: Fred Norris, Ray Peale, Roddy Wilder, Frank Earnest, Paul Molgat, Glenda Molgat, Garrett Ressing, Kevin Arbrost (Oracle Historical Society). Front Row: Elisabeth Wheeler, Linda Green, Marilynn Smith, Mary Croft, Kathy Gish, Claudia Enea and Mike Wolters. 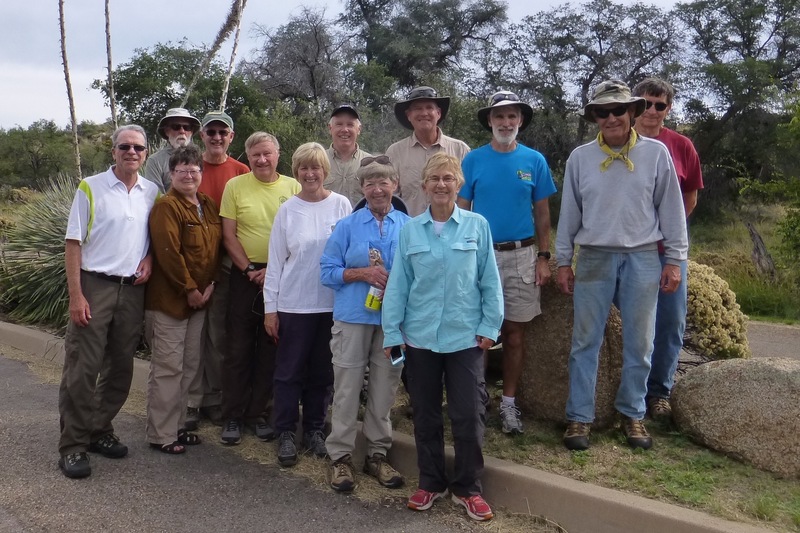 SBHC volunteers work on the Oracle Passage of the Arizona Trail, 10-28-15. Back Row: Fred Norris, Don Grafmiller, Roddy Wilder, Jim Barrett, Randy Parks, Ray Peale, Shawn Redfield. Front Row: Paul Molgat, Glenda Molgat, Don Taylor, Marilynn Smith, Harriet Pearson, Mary Croft.